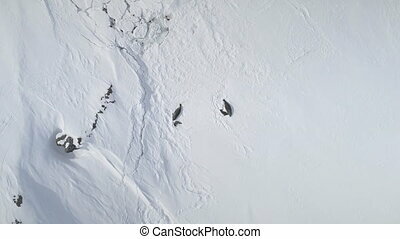 Antarctic Weddell Seal Group Top Aerial View. 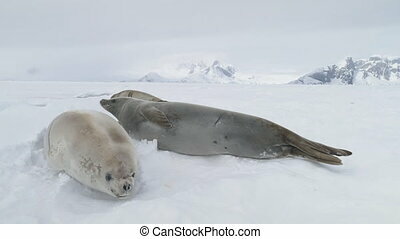 Baby and Adult Polar Animal Rest on Snow Covered Surface Landscape. 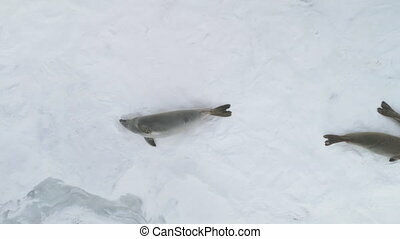 Arctic Wildlife Family Drone Zoom Out Flight Footage Shot in 4K (UHD). 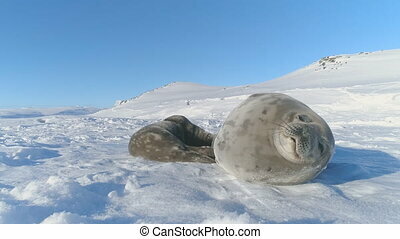 Close-up Puppy Seal Lying On Snow. 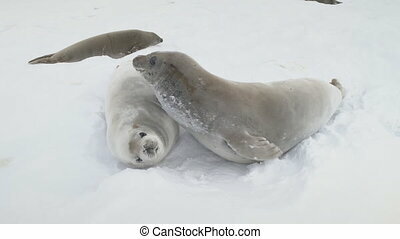 Antarctica Wildlife. 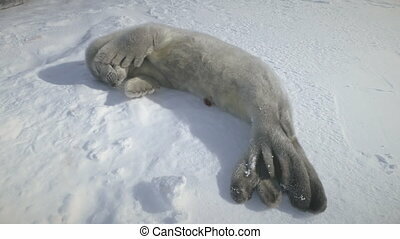 Dozing Furry Weddell Seal Baby On Snow Covered Surface. 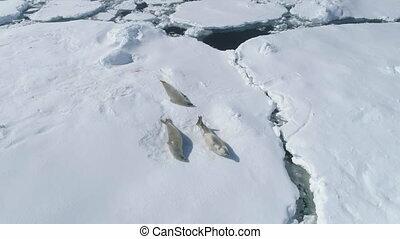 Instincts Of Polar Wild Animals. Winter White Landscape. 4k Footage. 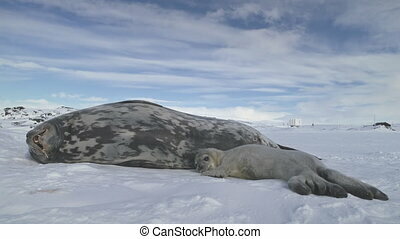 Seal Family Adult And Baby On Antarctica Snow Covered Land. Winter Landscape. 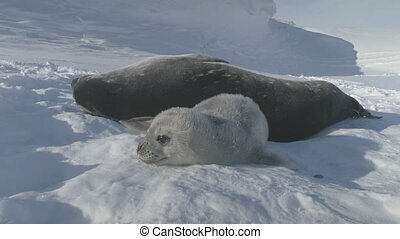 Weddell Seal Puppy With Parent Lie And Rest On Polar Surface. Vernadsky Station, Antarctic Mounts Background. 4k Footage. 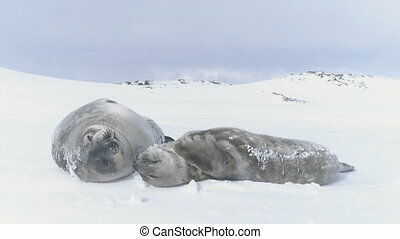 Baby, Adult Weddell Seal Family in Antarctica Close-up Snow Landscape. 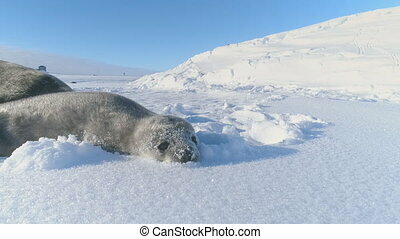 Puppy Polar Animal Playing Behavior with Mother on Antarctic Frozen Surface. 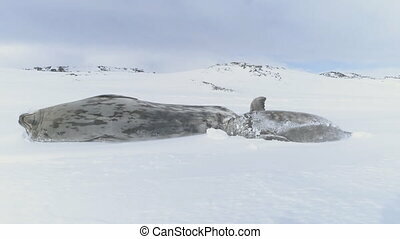 Wild Untouched Nature. Footage shot in 4K (UHD). 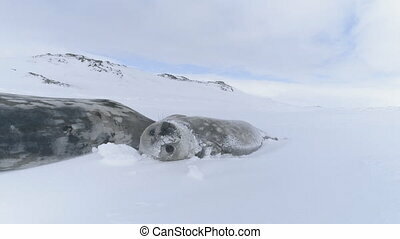 Weddell Seal Baby Lying In Snowdrift. 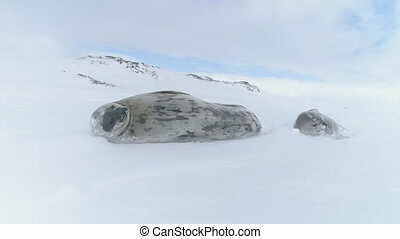 Antarctica White Landscape. 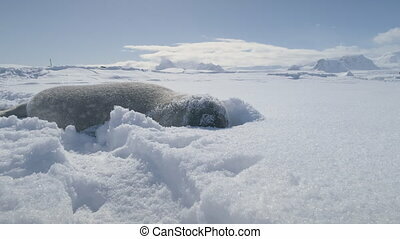 Puppy Seal Resting On The Snow, Ice Covered Land. Mighty Mountains, Blue Sky Background. Habits Of Wild Animals. 4k Footage.